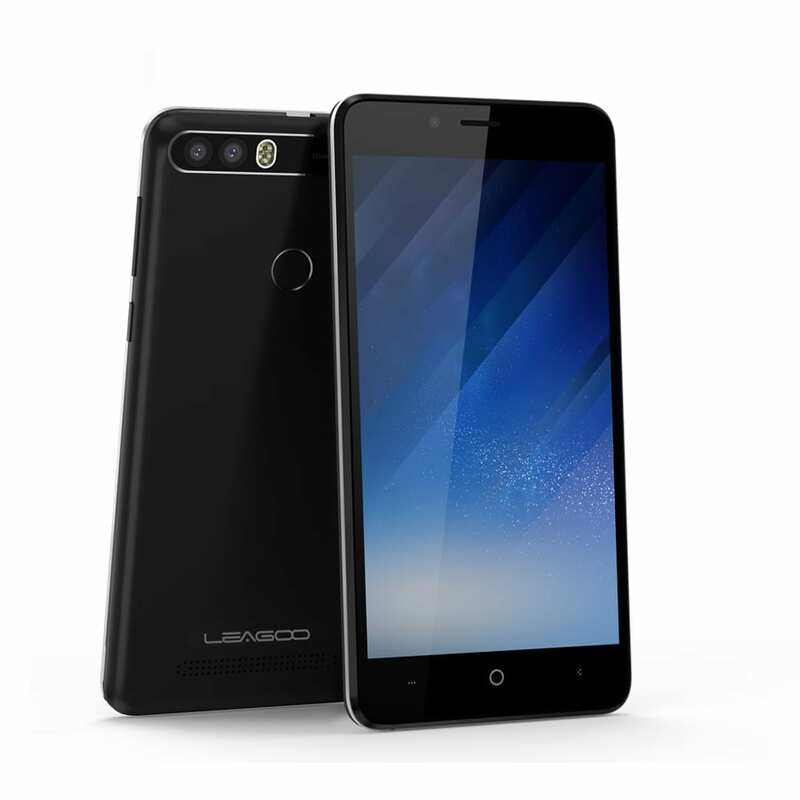 Leagoo is one of the many young Chinese OEMs that has been around for a while now. It’s recent smartphone, The Leagoo P1 Pro which is an upgrade to the Leagoo P1 smartphone comes with a better spec sheet. Although, there are still some features retained from its predecessor. There’s a significant improvement in terms of RAM size, internal storage and the addition of a fingerprint sensor amongst other things. There’s a striking similarity between both the Leagoo P1 Pro and it’s predecessor aside some little differences like the presence of the Fingerprint sensor distinguishing both smartphones. The Leagoo P1 Pro also adopts the same compact design featured before and the plastic casing which makes it lighter considering the large battery. In the display department, Leagoo decides to leave things the way they were in its predecessor. Apart from that, most low budget smartphones usually have a 720p panel as a kind of standard. So it’s not surprising there’s still a 5.0-inch 1280 x 720 pixels resolution and a pixel density of 294 ppi in the Leagoo P1 Pro. It is a very good thing Leagoo decided to maintain the large battery capacity featured in its initial smartphone. The Leagoo P1 Pro comes with an impressive 4, 000mAh which is quite a standout feature for a low budget smartphone. However, the absence of the fast charge technology means you will have to stick with the normal charging time frame. The Leagoo P1 Pro also has a dual camera setup with dual LED flash. The dual rear camera has an 8MP + 2MP sensor with dual LED flashlight. Also, there’s a 2MP front camera equipped with LED flash for taking selfies in low light. In the hardware section, some changes have been put in place to deliver a more impressive performance. The Leagoo P1 Pro smartphone sports a Quad-core MediaTek MT6737 processor running at 1.3GHz and a relatively more powerful ARM Mali-T720 GPU. This translates to a more better gaming experience and general graphics rendering. A significant increase in the RAM size from 1GB to 2GB and the built-in storage from 8GB to 16GB is enough to bolster its performance significantly. To wrap things up the Leagoo P1 Pro runs on Android 7.0 Nougat. The Leagoo P1 Pro smartphone is available at various retail outlets and online stores. It costs about 37, 000 Naira to about 48, 000 Naira depending on your location and the deal in question.